Jeanne Manford, the mother who started the group Parents and Family and Friends of Lesbians and Gays (PFLAG) died January 8 at the age of 92. Mrs. Manford became a gay rights pioneer. 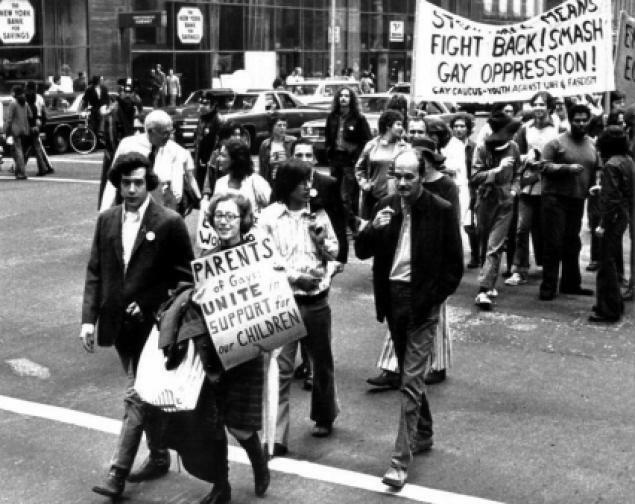 In 1972, after her son was severely beaten in a gay rights protest, Jeanne marched with him in the Christopher Street Liberation Day Parade – a gay rights march organized on the anniversary of the Stonewall Riots of 1969. The march would later become the New York Gay Pride Parade. Jeanne marched next to her son carrying a sign that said, “Parents of Gays: Unite in Support of Our Children.” After the parade, she was approached by people asking her to talk to their parents. The first meeting of “Parents of Gays” included 20 people. The group, eventually renamed PFLAG now has 350 chapters with over 200,000 members. Even after her son, Morty, died of Aids in 1992, she remained an advocate for LGBT rights in this country. Rachel Maddow aired a great tribute – its worth a look.